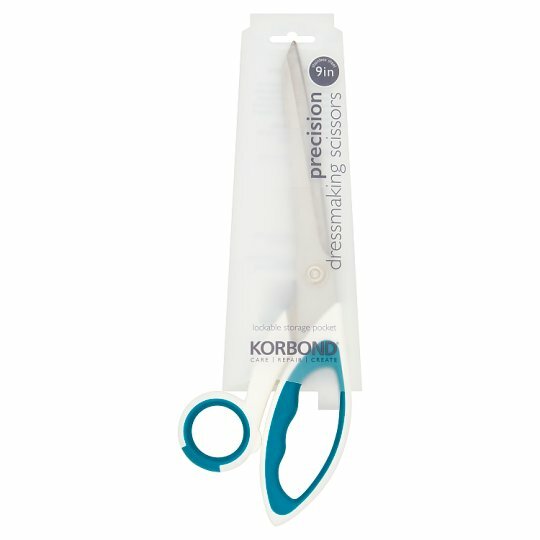 Korbond Dressmaking Scissors are perfect for smoothly cutting a wide variety of fabric. Precision ground blades provide a sharp and accurate finish preventing pulling or fraying of fabric when cutting. Ambidextrous handles offer comfort grip, suitable for both left hand and right handed cutting. Caution: Scissors can be dangerous if misused. Please handle with care and store away from children.